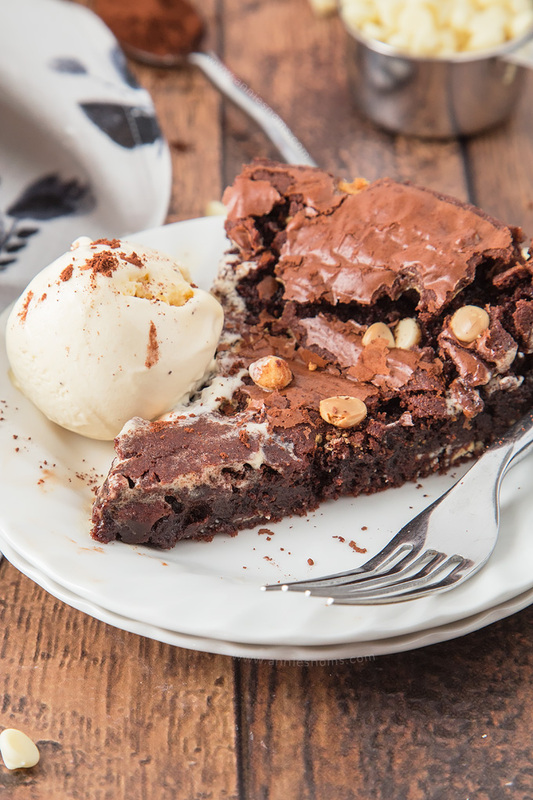 This chewy and decadent Double Chocolate Skillet Brownie is the stuff dreams are made of! 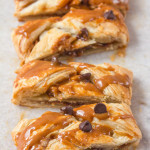 Gooey, fudgy and packed with chocolate, it’s heaven in every bite! Hello friends and welcome to my world of decadence! Warning: Today’s recipe is NOT skinny jean friendly! Sorry! 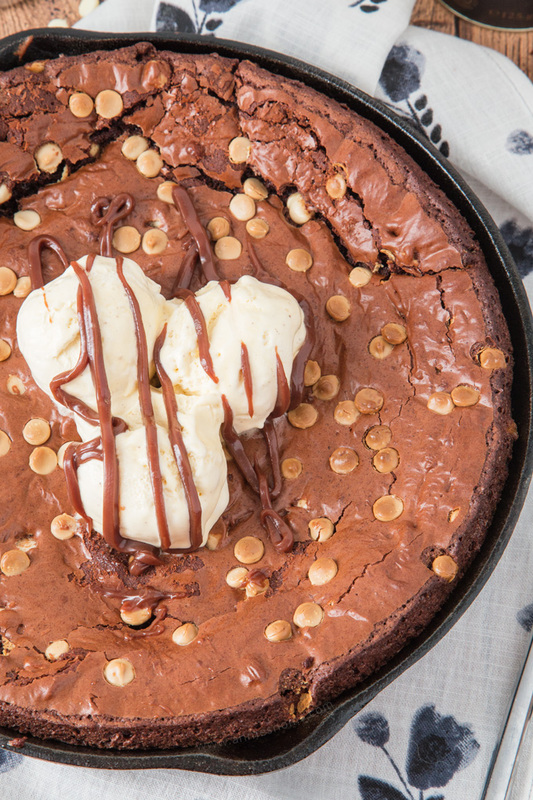 But everyone deserves a decadent treat once in a while, so please say hello to my Double Chocolate Skillet Brownie. 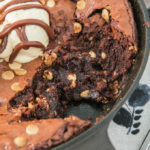 I have no words for how delicious, rich, gooey and ridiculously amazing this Skillet Brownie is. JUST LOOK! Topped with creamy, vanilla ice cream and chocolate fudge sauce, this is one dessert where you are in pure indulgence mode. Stretchy pants at the ready! I guess, I could actually call this a triple chocolate brownie… But I feel like the dark chocolate and cocoa powder are both dark chocolate, so I called it a double because I added in a ton of white chocolate chips. All that dark decadence peppered with little white flecks of gooey chocolate. Yes please, hand over the spoon right now! I’m a bit late to the skillet party, but I’m slowly getting round to making all the things in a skillet. Skillet cookie anyone? Or a Dutch baby? In the past I’ve hated the fact that my skillet is heavy, that stuff used to stick, that it rusts on the sink when drying unless I dry it immediately… But I really do like how versatile it is. 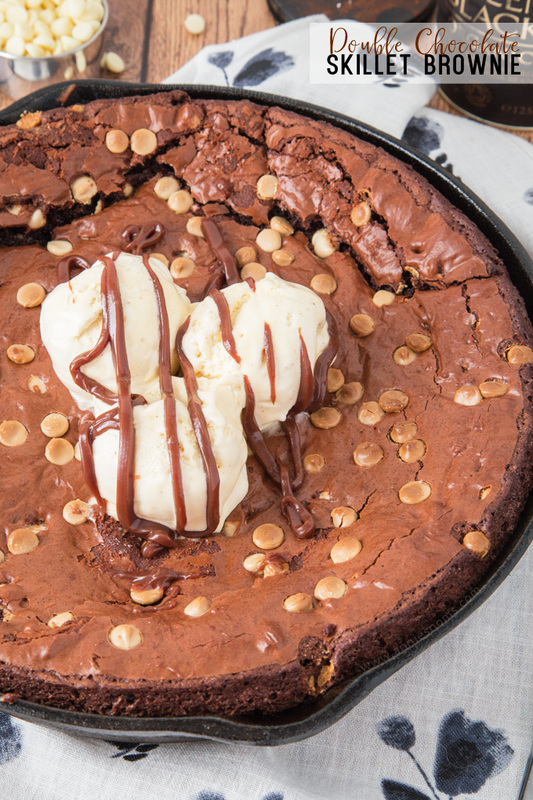 One minute I can be making dinner, the next this Skillet Brownie. And now Mr AN has seasoned it correctly, there’s no welded food on it anymore! I also love the fact that you can just place a skillet in the middle of the table and all just dig right in and serve yourselves. Especially with things like cookies and brownies, you can share so easily. 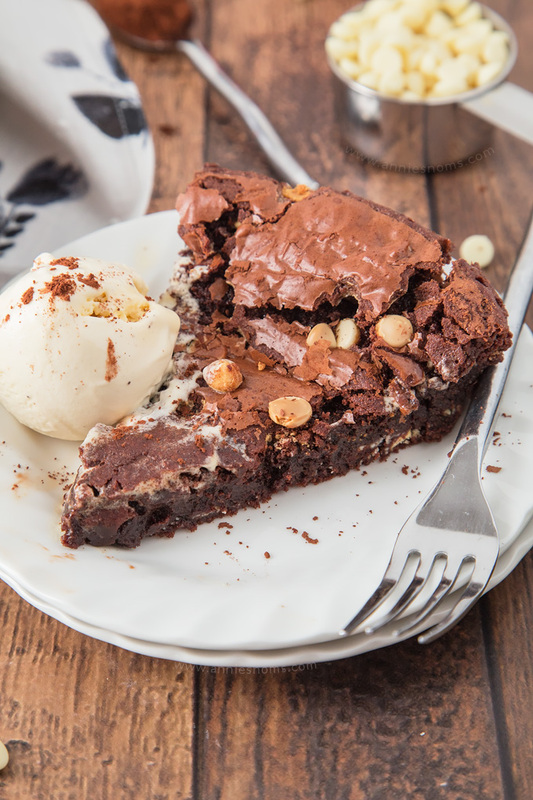 This chewy and decadent Double Chocolate Skillet Brownie is the stuff dreams are made of! 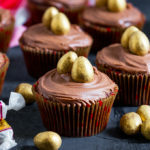 Gooey, fudgy and packed with chocolate, it's heaven in every bite! Preheat the oven to 180C/350F and spray a 9 inch skillet with cooking spray. I use Wilton Bake Easy. Place butter and broken up chocolate into a heat proof bowl and microwave in 20 second increments, stirring in between each one, until the butter and chocolate are completely melted and mixed together. Leave to one side. Place eggs, sugar and vanilla into a large bowl and whisk until well combined, smooth and slightly frothy. Place flour, cocoa powder, salt, baking powder and white chocolate chips into a medium sized bowl and stir until all the chocolate chips are coated in flour. Leave to one side. Pour the melted chocolate mixture into your egg and sugar mixture and whisk until well combined and smooth. You don't want to see any lumps of sugar mixture, just thick, dark chocolate! Tip in the flour mixture and fold in gently until there are no lumps of flour. Tip into your prepared brownie batter into your prepared skillet and smooth into an even layer with a spatula/wooden spoon. Sprinkle the top with extra white chocolate chips, if desired. Place in the oven for 25-30 minutes, until risen, slightly crackly on top and an inserted skewer into the centre comes out with just a few crumb on it. 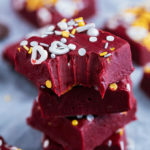 You don't want raw batter to come out of the centre, but you don't want it to come out completely clean either as your brownie will be over done! You want to see crumbs, but have them still slightly wet. The outside edges will come out clean when you insert a skewer. Leave to cool in the skillet for at least 30 minutes before digging in! I served mine with 3 big scoops of vanilla ice cream in the centre and a drizzle of chocolate sauce. Skillet Brownie will keep covered, at room temperature for 3 days, or in the fridge for days. You may want to decant it into an airtight container for storage. Wow, I need to try skillet brownies right now! 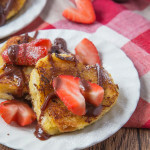 That looks so good and chocolatey. My family would love this! Did someone say chocolate. I have not tried a skillet dessert like this yet but I need too. I love the way the white chips peak out of the chocolate. 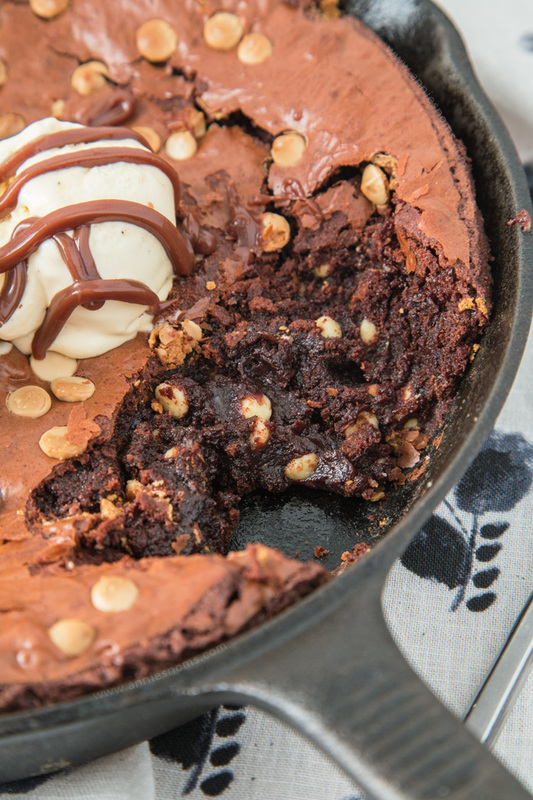 I could dig into this skillet brownie right about now! 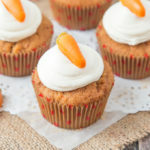 Looks absolutely scrumptious! I just want to put my face down… i def need to try this.. my husband would love it!! Oh this is just glorious, perfect brownies with that paper thin crispy crust and then the gooey inside. Wonderful. 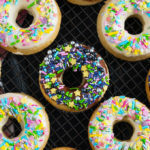 Diet and healthy eating be gone! I bet that this brownie skillet is so good! 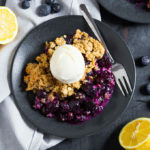 I love desserts that are made in a cast iron skillet! Wow, this looks rich and amazing! Pinned. Thanks so much for sharing on Merry Monday.